What does anti aging mean for women over 60? Being happy about who we are and how we look and feel. but a confident, glowing, mature woman way! Eat yourself young and get back in shape. Pick up the facts on effective, inexpensive, anti wrinkle skincare! Put some magic in your make up ideas! Get the low down on a high energy diet and beat stress! Find your strength, worry less, laugh more and do something crazy now and again! 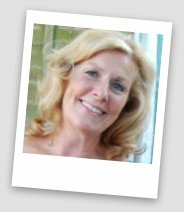 Let me show you what’s on offer for women 60+ and tempt you to reinvent the rest of your life..
Don’t worry it’s never too late! Unlike the glossy magazines the how to’s on my pages are geared to women over 60. You won’t find flawless 30 year old models telling you their wrinkles disapeared with some fabulously expensive cream. It won’t work. Anti aging in action does! Eat Yourself Young is about incorporating superfoods into your anti aging diet to boost the body’s immune system, strengthen bones and improve muscle tone. Besides a clear skin, healthy nails and glossy hair you will wonder what happened to the bloating, the headaches and of course the pounds. It couldn’t be easier! Fitness and Vitality is easy if you find the right way of getting Back in Shape for you. It’s the best anti aging fix, improves your mood and your energy level. You discover where your waistline went and begin to feel some air around your hips. Here’s a plan.. the eat smart move more idea, what have you got to lose? Recapture the Radiance and that smooth skin plumpness you remember so well. Todays revolutionary anti aging skincare can improve the texture of your skin and minimise wrinkles. Brighten and freshen tired skin and deliver a suppleness that will amaze you. The right products for our budget and how to use them. What is sensational and what’s a waste of money! 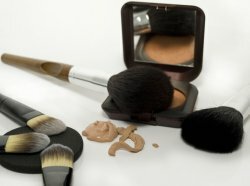 and discover how new make up techniques can work their magic for you! Find out which anti aging foundation is best for very mature skin and use it to cover uneven texture and redness. Whisk away under eye darkness and tiredness with clever concealer tips and then put your eyes and brows back in the limelight! Wrinkle fillers, lip plumpers and how to choose mascara all designed to help you get a fabulous, fresh new Look! Don’t miss this TIP! Foundation Primer the best thing that ever happened to mature skin! Beat Stress and get more energy with wellness and relaxation techniques. Apart from articles with my insights and suggestions there is an open invitation to anyone who would like to share a story that would help someone who is facing a similar problem. Please use my contact me page, I would love to hear from you. In this section you may learn to enjoy the happy moment instead of busily trying to get a happy life! Overhaul your hobbies and the things you do. Are they habits? Are you still baking cakes although you don’t want to eat them anymore? I recently started using a digital SLR camera and learning how to use photoshop. It is sometimes frustrating but it’s an anti aging challenge for the gray cells and It feels great when it works. I always think the main criteria for being happy is to do what you enjoy. Find inspiration on my pages or if you have an idea that works for you and you would like to share it, use the contact me page to write to me. I would love to hear from you and perhaps publish your story on this website. Don’t beat yourself up if you have a piece of cake or don’t exercise over a weekend away. Remember, this is a lifestyle not a contract with a penalty. This is Your Time.. Learn how to take it! Spending a little time on a beauty routine can boost confidence and remind us of our potential to feel good. We all look better when we are happy. We are nicer to be around when we like ourselves. It’s the most simple anti aging treatment but today so hard to achieve. Busy lifestyles coping with our own problems and often those of our grown up children and our grandchildren seems to fill every waking moment. How to say No as a good grand mother is a popular place to start! is not for cissies but you can do it! Bye, bye stress, spa anyone? What about getting into that hobby you always wanted to have time for. Read about how I found my profitable hobby doing what I love to do! Join a course, learn a language or if you are single try online dating and get invited out for dinner. Have fun! Anti aging is not just about miracle creams! It´s about our attitude to enjoying life, feeling good and being happy with ourselves. Run through these pages and pick out the tips that could restore your vitality, help you lose those pounds and change your look. Invest in a exercise ball , a mini trampoline or find out where your nearest Zumba Dance class is to make exercise more effective and more fun. 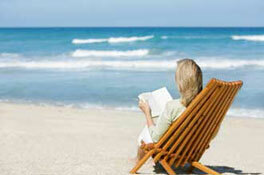 Take some time for yourself and do what this time of life was meant for, relax, enjoy and stay as young as you feel! you can squeeze the marrow out of life! Anti Aging in Action is a monthly ezine for women approaching 60 and over who want to stay healthy, toned, attractive and happy with their lives! 60+ Just For Us! Subscribe to the Anti Aging Blog and get the scoop on everything new at Anti-Aging-4-Mature-Women.com website. Find all our pages listed in categories in the site map for anti aging 4 mature women. Staying healthy and maintaining your preferred weight is easy with the eat smart move more strategy! Non starter in the exercise arena? 50, 60+ ? Getting in shape can be tricky without fun effective ideas to get you started! Let the free Boomer Diet Boot Camp help you find that slimmer, healthier, happier person inside before she gets lost forever! Anti aging diet packed with vitamins and antioxident foods to help you stay young, sleep better and look fabulous. Hydrate your body and get skin care for free. Healthy juicing to cleanse, detox, lose weight and avert disease. More energy and anti aging benefits for mature women. It’s never too late to put the brakes on the aging process with super foods for super health! Anti Aging Skincare for Women over 60! Take a new look at your anti aging skincare. Where could you be doing more? Rev-up your routine and revitalise your skin. Everything you need to know! Women over 60 review moisturizers, day creams, serums and more to bring you an up to date product list of the best anti wrinkle creams for older skin. Update Your Hair Style For A Younger Look! 5 Simple ways to update your hair style for Mature Women. How to get a younger look! Understanding and overcoming leg problems plus thigh to toe grooming for lovely legs. The definition of wellness and the positive effect on anti aging for mature women. Mature women find new ways to get more energy, say goodbye to boredom and reinvent their lives. Improving Your Memory At Any Age! Don’t just accept memory decline! Improving your memory is key to a bright mental future. Do you want to look younger? Learn how to avoid the pitfalls of failing to update your signature style! Simple ideas stunning result! My Book case is an collection of inspiring books for mature women. They come into your life like magic just at the right moment to give you a new direction. Creative, adventurous, competitive or profitable, hobbies for women are as varied and exciting as women everywhere. This page invites you to tell us about your special hobby! Anti aging in action in depth Video Horoscope every month. 21 Free E Books, Something for Everyone! 21 free e books! 21 knowledgable authors share their passions with you for free! Our Daily Quote To Inspire And Guide Us Every Day! Quotes for Women – Our Collection! Yours and my favourite quotes for women with images to make us smile, reflect, stay on track and feel good. Moving home at 63! This challenge was almost the start of a downward spiral. My March update relates how taking on too much can be overwhelming. A List of Useful Videos for Anti Aging in Action! Useful videos with everything you need for Anti Aging in Action! My Anti Aging Articles exclusively for mature women. News and insights on anti aging, skin care and more. When searching for websites that host the sort of information you need, directories are very useful. These are directory links that have helped me gather resources in the blink of an eye! I have listed some of the resources I have found useful whilst building my website. Looking for specialist websites or authorities on specific subjects these directories are invaluable.